All Duneland Education Foundation programs and initiatives are funded by the Acorn Grant. View Acorn Grant Recipients. 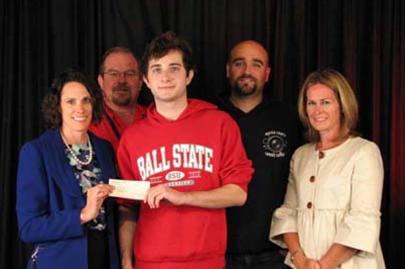 The Duneland Education Foundation awarded Chesterton High School vocational student Kyle Gilbert, senior, with a monetary honorarium for his creation of a promotional video for the DEF. Kyle created his recording in the video production class at the Porter County Career Center in Valparaiso.